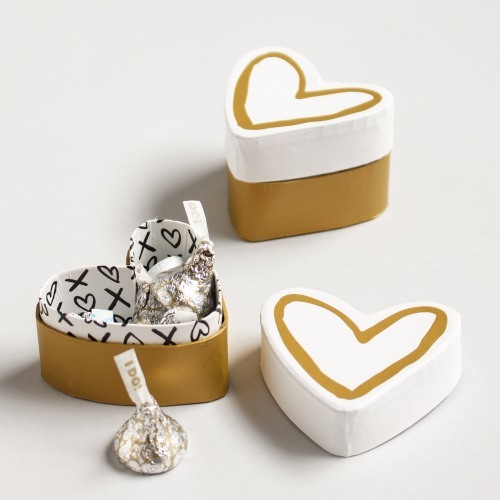 These sweet heart and kisses favor boxes are the perfecting finishing touch for your wedding. Beautiful inside and out, this heart shaped box features a gold and white exterior design while the interior features a black and white "hugs and kisses" design. Such a unique and charming way to display favors such as candy, cookies, and other treats.